Encore Awards has expanded its popular line of gift items by adding several new flask finishes. These new products feature finishes in stainless steel, matte black, glossy red, glossy blue, leather and camouflage patterns. 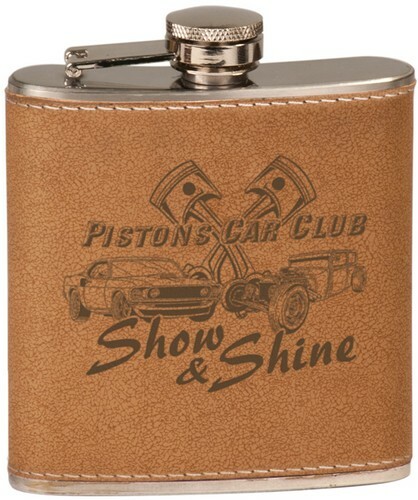 The flasks hold six ounces of liquid, come with an attached screw-off lid and can be personalized with a laser engraving. They make perfect gifts for groomsmen and ushers.